THE PERFECT ESCAPE IN THE HEART OF WINE COUNTRY! Thoroughly renovated 1890's farm house, situated on 2.64 acres with fruit trees & vegetable garden is the complete countryside package. This serene property is on the wine trail & across from Hess Lake offering fishing pier, park, picnic areas, playground, nature trails & pavilion for special events. Inviting 3 BR, 3 BA over 2200 sq. ft of perfectly blended old world charm & today's convenient living. Attractive main floor Master Suite, walk in closet & heated tile flooring. 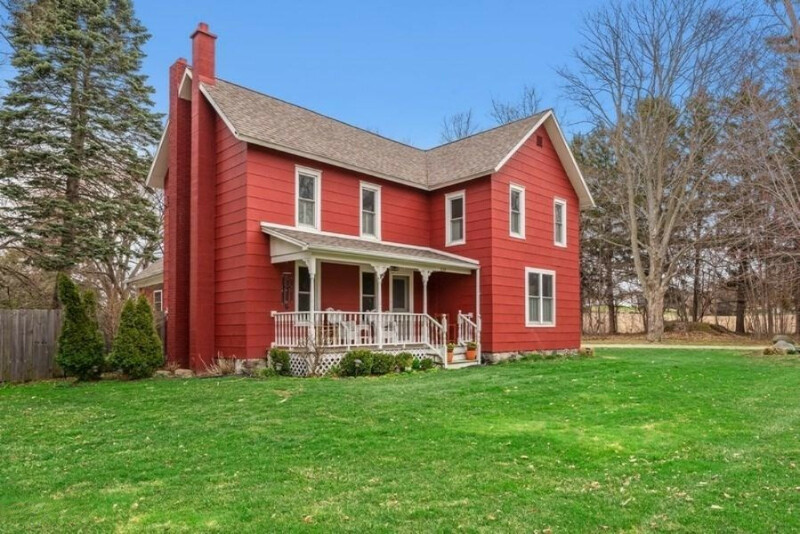 Country Kitchen with marble counter, SS appliances, farm sink, eat-in area, & large pantry. Stunning 1840's Hardwood floors in Living Room & Dining that opens to wooden deck perfect for entertaining, bird-watching or just relaxing. 2nd floor offers two spacious bedrooms & full bath. Rare usable farm-house basement great for recreation, work area AND storage. All new plumbing, electrical, insulation, windows and Dual Zoned HVAC. LOVE WHERE YOU LIVE & PLAY! full bath. Rare usable basement is great place for recreation, work area AND good storage. All windows, new plumbing, electrical, insulation and 2 Zoned HVAC. LOVE WHERE YOU LIVE AND PLAY!